Nahaia Pep Me Up is a luxurious moisturiser that helps reduce the appearance of fine lines and wrinkles, while improving skin firmness and providing deep hydration with hyaluronic acid crystals. 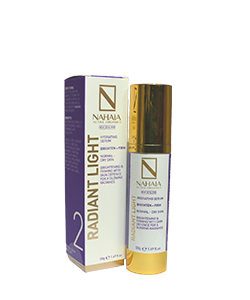 Natural Vitamin E and hibiscus seed extract improves the skin clarity for a glowing radiance. 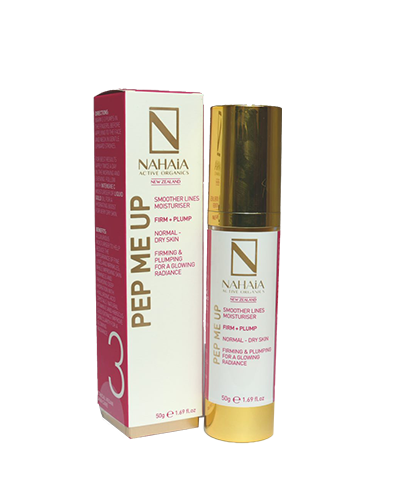 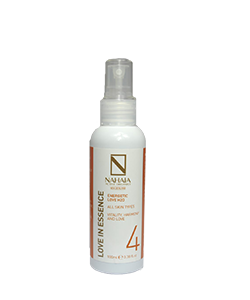 Warm 2-3 pumps of Nahaia Pep Me Up in the fingers before applying to the face and neck in gentle upward strokes. For best results apply twice a day in the morning and evening then follow up with Nahaia Intensive C moisturiser or Nahaia Liquid Gold for a hydrating boost for very dry skin.